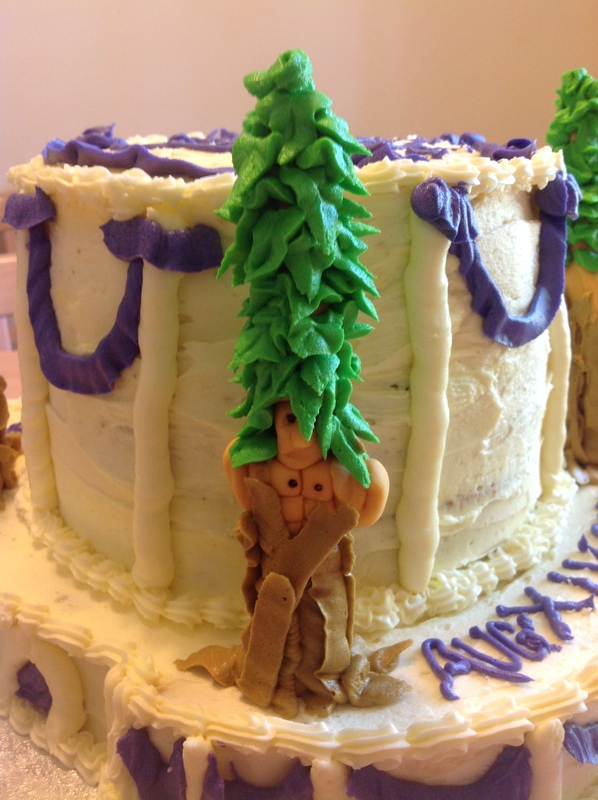 I am an enthusiastic cake-decorator, and competed in the 4-H cake decorating while at school in Indiana. At one point, I dreamed of going to culinary school and becoming a pastry chef; my highschool Latin teacher made a convincing case for a university career instead. I guess we can all see where that has led (thanks, Mrs. Craig!) 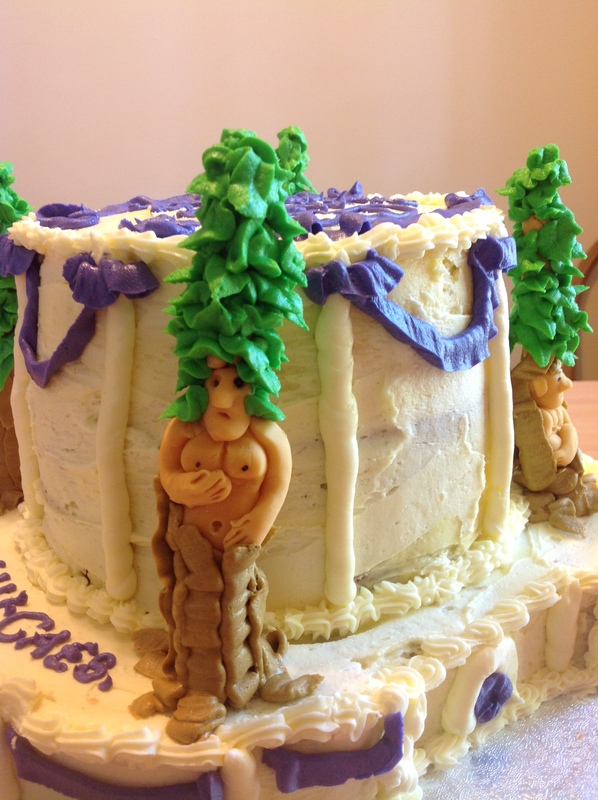 Nevertheless, I still keep my art up by making cakes for my birthday and other special occasions. It’s a best-of-both worlds situation. Now, I get to study classics (which I love), and use my knowledge of the world to inform a private art that I can share with my friends and family. Despite the building being a wrecked shell now, I went ahead and interpreted the Mausoleum as it might have looked in its prime. This was always destined to be a subjective interpretation; archaeologists posit a number of different interpretations of its original form. Being thoroughly ignorant on the subject, I had to synthesize the different versions. 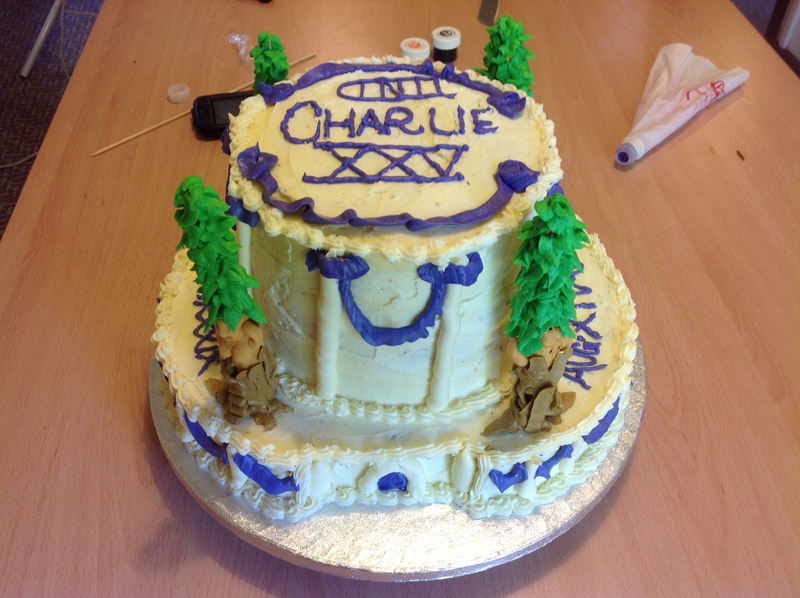 It was made even less realistic by the caricature effect that cake decorating has. Still, I think I managed to capture its spirit to a certain degree. 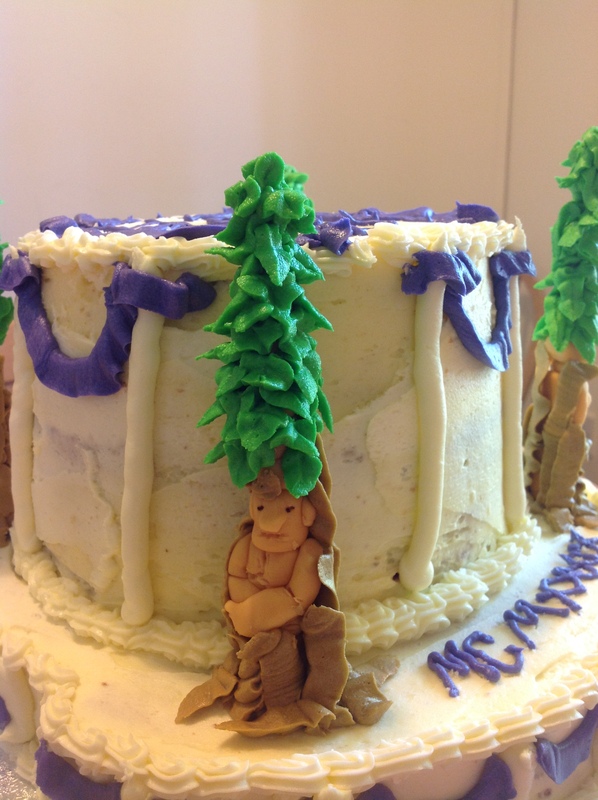 When adapting a form from the real world to the cake world, you have to interpret a lot and see the cake-i-ness within every shape. Buildings are good for this, and monuments, which tend to be bulky and resting on strong foundations, are even better. From the reconstructions, the cypress trees called out to me, especially. They called from the pages of the Metamorphoses, the poem which is the subject of my PhD. Many people know Ovid for his dendromorphic tales – Apollo and Daphne, rendered beautifully in marble by Bernini, is a crowd favourite. Cyparissus himself, the boy whose grief over the death of his pet deer caused him to turn into a cypress tree, is given a place of honour in Ovid’s narrative of the mythic bard Orpheus (Met. 10.120-42). So, in honour of my beloved poet, I created some dendromorphic cypress figures. 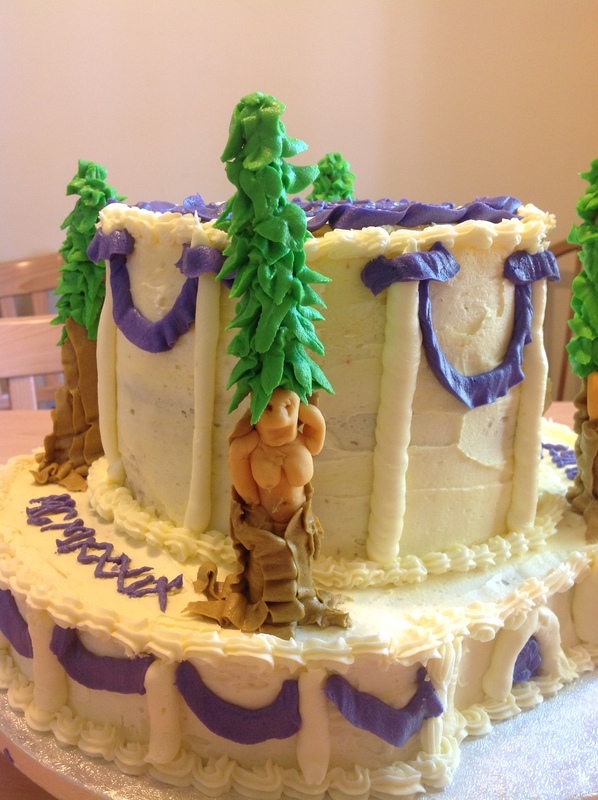 Their bodies are made of fondant, held up with bamboo skewers; their trunks and leaves are made of coloured icing. 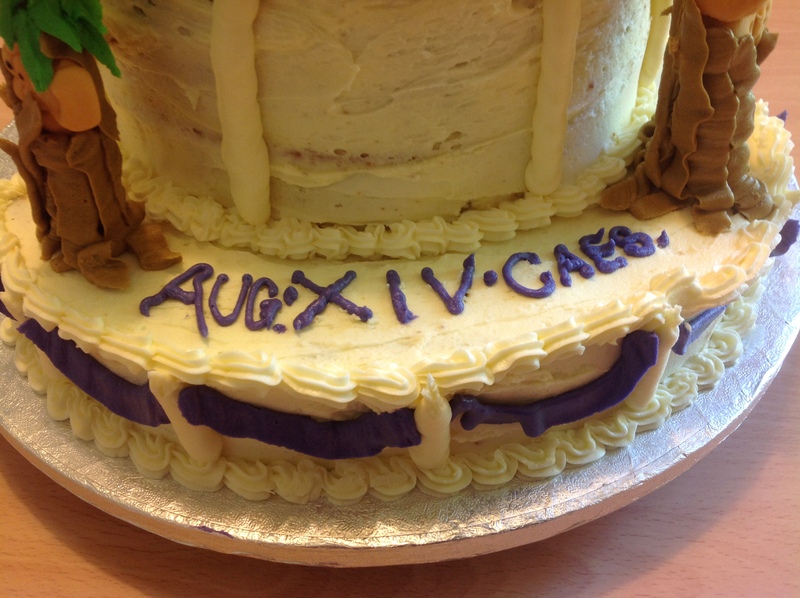 That I should be compelled to sneak a reference to Ovid into the cake serves to illustrate my rather complicated feelings towards, and dare I say, relationship with Augustus. On the one hand, he exiled my favourite poet, and by all accounts ruined his life (although Ovid did produce masterpieces in exile, as well). Augustus’ treatment of Ovid is a contentious point among Ovidian scholars, and there is a fair amount of animosity that we naturally feel towards him. At the same time, for better or worse, he transformed the Roman world, and helped create the age that is the focus of our study. By ending the civil strife of the preceding century, and solidifying the perennially fractural power system in Rome, he did establish the kind of peaceful tranquillity that in part made Ovid’s career as a poet of leisure possible. Furthermore, his hypocrisy, tyranny, and megalomania provided Ovid with a rich font from which to draw material for his work. He meant something to everyone: Vergil, Horace and Ovid; but he never meant the same thing to two people. His life was a blip in the history of man, but the culture he caused to come about (whether or not by his own design) stands as a legacy that impacts our lives today. In short, I may not love him, but I love to hate him; I may not want him, but I certainly need him. He commands respect, even while he deserves humility. So, in typically Ovidian spirit, since I was destined to share my birthday with him, I decided to praise with loaded irony. I depicted a monument to the man’s life, but one that signifies also his death. I added sentinel trees to watch over him, but gave them human faces to remind him of the poet he tried to shun completely. It’s a best-of-both worlds situation. I think Ovid would be proud. 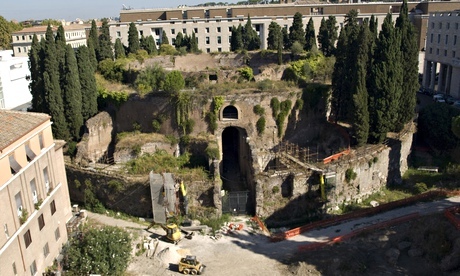 Tags: Augustus, Birthday, cake, Dendromphic, Mausoleum, ovid. Bookmark the permalink.